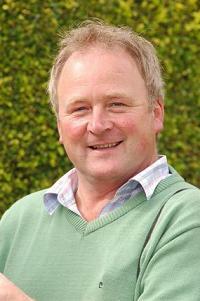 With over 750 winners, Pat Flynn has a proven track record as an Irish horse trainer. We hold the record for back-to-back winners with Montelado at Cheltenham. See more pictures of recent winners. We are horse trainers and train horses to win on the flat and over jumps. 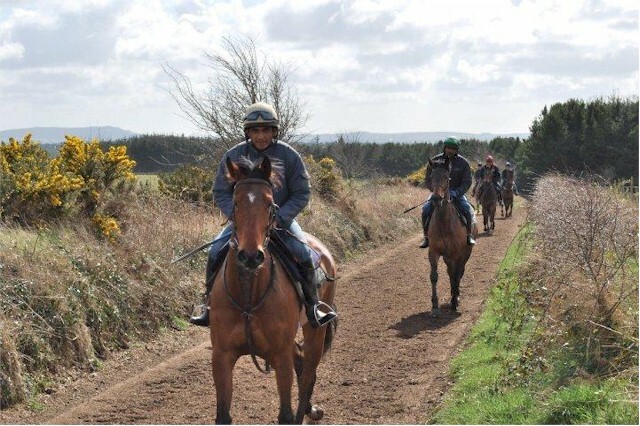 Much of our stables success is attributed to being able to prepare horses in our relaxed country surroundings.We are one of the leading horse trainers In Ireland. Our knowledge and expertise built up over the years, combined with passion and dedication, gives us an edge in keeping horses happy, healthy, strong, fit and ready to race with the will to win. We have an excellent team of committed staff at Pat Flynn Racing and look forward to continued success for all our owners who have chosen to have their horses trained at our stables. Below is a picture of our gallops where the horses are brought to full racing fitness. This is the heart of our training operation. Vast knowledge of horse care gained over the last 30 years. Peaceful and tranquil country surroundings to ensure horses happy and as close to nature as possible. We have great ability in keeping fillies fresh, happy and performing consistently. We strive to give value and keep expenses as low as possible for our owners.